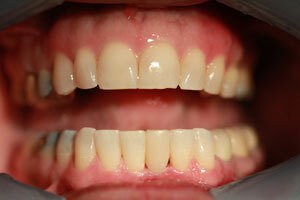 Hassey | Do Duy is experienced at placing dental bridges to restore smiles to their beautiful, natural looking state. Dental bridges are often used to fill in the gap that is created when one or more teeth are missing in a patient’s smile. 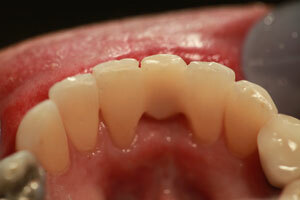 A bridge helps to maintain the shape of a patients face, and prevents teeth from shifting in the absence of a tooth. 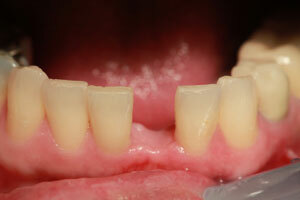 Dental bridges are highly durable, and will last many years with proper care. Dr. Hassey and Dr. Do Duy will continue to monitor the strength and performance of a patient’s dental bridge to ensure that the appliance is sturdy and working effectively. If you have questions about dental bridges, our team is happy to assist you. Contact our Methuen office today to schedule your appointment! Temporary direct composites Maryland bridge completed in one session, no drilling involved.